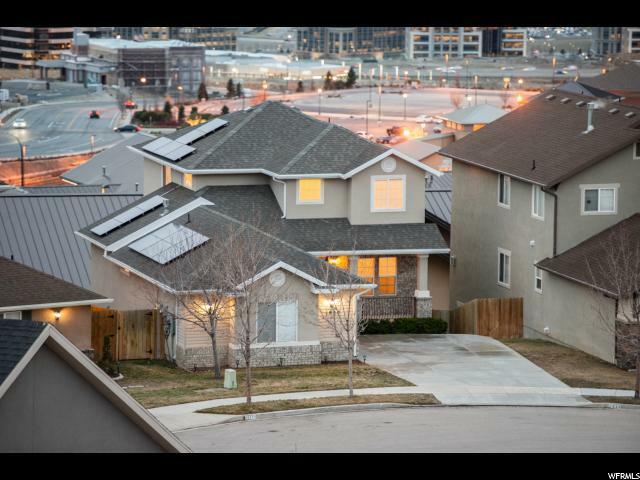 Looking for a large home with breathtaking views in a quiet cul-de-sac situated in coveted Traverse Mountain to make memories to last a lifetime? This RARE find is move-in ready, definitely a MUST SEE! Open floor plan for hosting, kitchen offers granite, backsplash, built-in oven, gas cooktop, abundant cabinets, large island, & pantry. 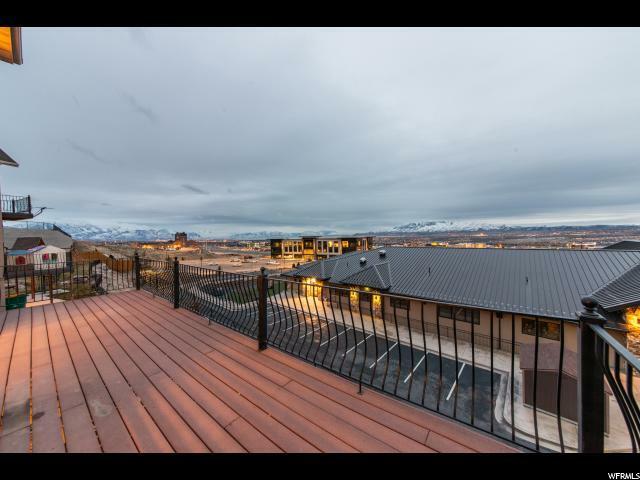 Entertain or relax by the fireplace in the large great room or spill onto the large deck where you can survey the sweeping views of the mountains and valley. Granite counters throughout. Vaulted master retreat presents duel sink vanity, soaking tub & separate, glass shower. Study or work in the loft upstairs. Walk-out, fully finished basement provides a family room/game area, den, 2 bedrooms & a full bath. Large furnace, AC, $20k+ in SOLAR and carpet all less than three years old. New fixtures and paint throughout, including strikingly beautiful white cabinets. Well-maintained home that feels brand new with a ton of upgrades! You'll love the low or inexistent electric bill with the solar panels. Fully fenced yard. 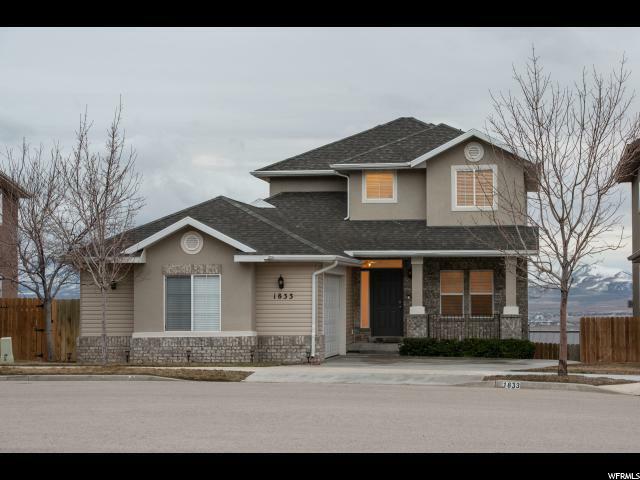 Ideal location less than two miles from Thanksgiving Point, 2 top-ranked Elementary schools, several parks, tennis courts, basketball courts, and more. 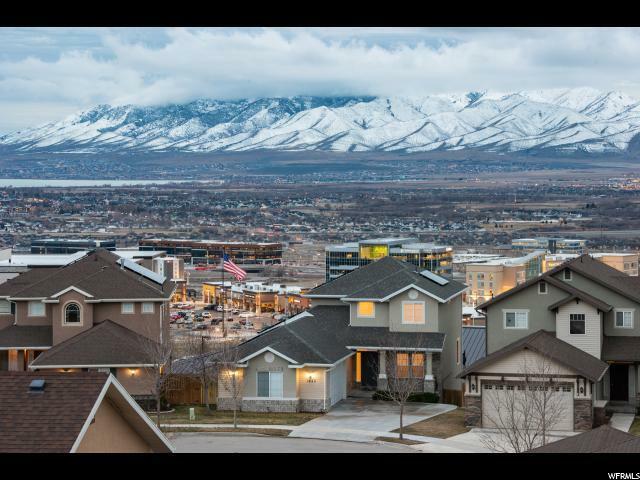 Only one mile away from I-15 with easy access to downtown Provo or Salt Lake in less than 30 minutes. Enjoy a short walk to The Outlets at Traverse Mountain, Harmon's grocery store and numerous restaurants. Remarkable HOA that provides tremendous value with a stunningly beautiful clubhouse available for residents to utilize and a swimming pool to provide hours of fun and relaxation in the sun! Buyer to verify all.